No Avocados in the Food Desert! Saturday, before the storm hit, I went to Walmart and Target to stock up on food and emergency supplies. Monday, I spoke with my sister as she and her husband drove around my hometown searching for something to eat. There was one fast food restaurant open close to their apartment. The wait time was one hour. Today, as I spoke to my mother, she mentioned how she couldn’t understand how anyone could be foolish enough to ignore warnings and not prepare. My sister is one of many in my hometown who lives in a food desert. Food deserts are parts of the country, usually impoverished, with limited access to healthful foods due to lacking grocery stores and farmers’ markets. This is USDA map allows you to locate federally recognized food deserts. Clearly, the South holds most of the countries food deserts. 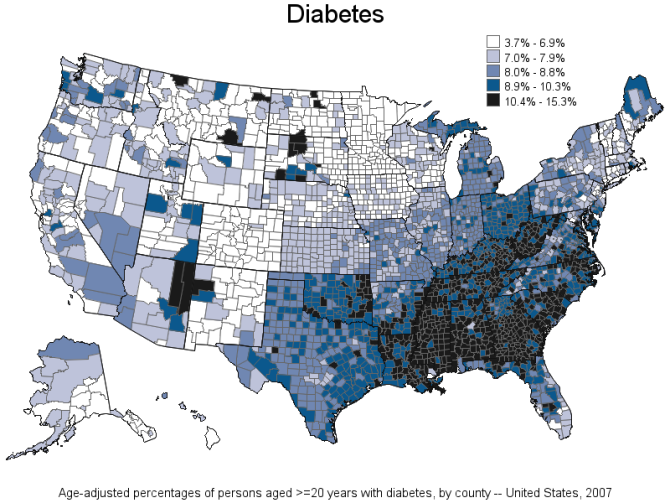 Unsurprisingly, the South is also known for its high rates of obesity and other health concerns. However, food deserts and negative health aren’t just a Southern or rural concern. Urban cities, such as Chicago, NYC and Atlanta, have food deserts. Have you ever heard your city friend mention a bodega, especially the sandwiches? Those are typically the only “grocery” stores within several miles. Other than fresh sandwiches, you can buy milk, eggs, packaged foods, and alcohol. What happens when grocery stores move into food desert locations? The neighborhoods surrounding East Oglethorpe Blvd in Albany, GA, my hometown, are great examples of food deserts. The area shown services the food needs of the entire east side of the town. The side of town is notorious for its high poverty. Not shown, but not far to the right sits a Walmart and Harveys Supermarket. The Walmart is new to the area. Before, Harveys was the sole grocery store servicing thousands of people. Despite adding a new grocery store, the area is still inaccessible to many in the surrounding neighborhoods. Without transportation, many cannot shop at the stores. The stores are far from most homes and are located on one of the busiest streets in the city. Patrons would have the burden of carrying groceries long distances in dangerous walking environments. Their only option is convenience stores like the one pictured or fast food. Additionally, how do you convince those who have transportation to the stores to spend extra money on food? A family of four can eat cheaply off dollar menus. Albany is a relatively big city. Supermarkets would have no problem building there because of the potential profit. But, what about small towns where farmers’ markets are the main source of fresh food? A study by the Georgia Public Health Association found that 20% of GA’s census tracts are food deserts with only 7.2% of the tracts having a farmers’ market. Less than 10% of those markets accept Famers’ Market Nutrition Program (FMNP) coupons or Women, Infants, and Children Fruit and Vegetable Checks (WIC-FVC). Only 21.6% accept Supplemental Nutrition Assistance Program (SNAP) benefits. Imagine living in an area with only two grocery stores serving thousands. Imagine being given two days warning that your home will be impacted by a hurricane. Do you think you would be able to get supplies before everyone else? Imagine being one of hundreds without access to transportation to patron that store. With nearby restaurants and convenience stores closed, what do you eat? When you can’t access healthy food, you eat unhealthy food. When you eat unhealthy, especially as a growing and developing child, you develop chronic illnesses and disabilities that affect your behavior and ability to learn. Chronic illnesses and disabilities cost money. Poor people tend not to have much money. Without access to healthcare, many die or are permanently disabled. Urban food deserts are a big topic in the food justice movement. Equitable access to healthy food might do a lot to help improve malnourishment and other public health issues. Thanks for sharing! You would think in places like the south, where sustainable farming and year-round agriculture is more practical, there would be more farmers markets and less of these food deserts as in the north. I suppose this problem lies within the affordability of healthy foods, as you said the dollar menu is much more convenient and affordable. On the other hand, in my experience, growing fresh produce is rather cheap. It must be extremely hectic and rather frustrating to get food in these areas during emergency events such as hurricanes, especially for the less fortunate. The question is, what can be done about this problem and how can we fill the gaps of food deserts? Thanks for sharing! I am always surprised and saddened by how widespread food deserts are across so may different geographic locations. On the surface this seems like an easy fix, to take the tons of food every day and and use this to provide affordable, healthy food to the millions of Americans without access. However, I know this is a much more complicated issue than that. I think that awareness of this disparity is an important first step towards attacking the issue of food insecurity.